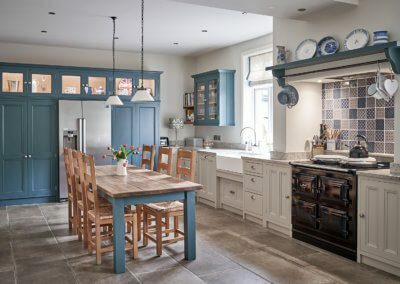 The owners of this kitchen had one key requirement: no island! 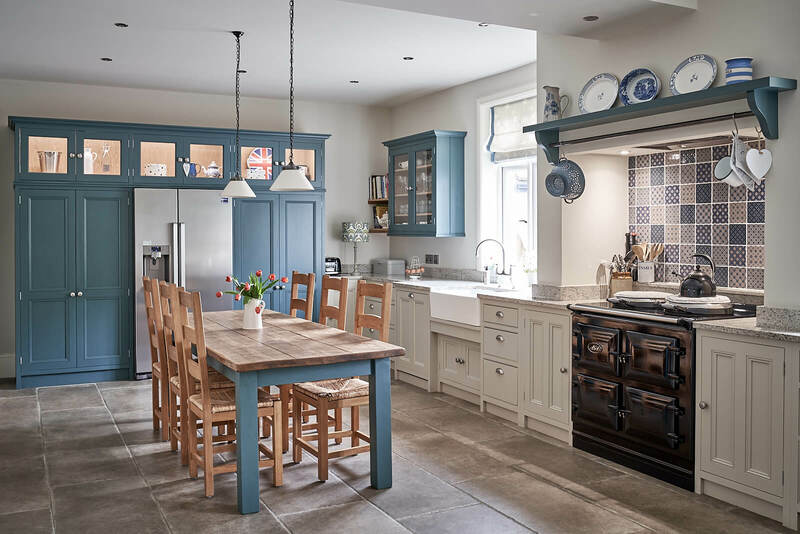 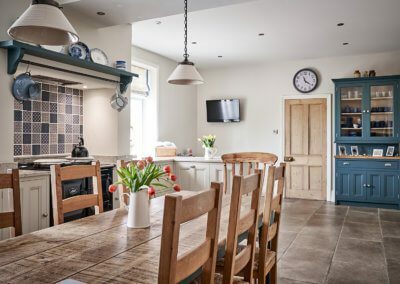 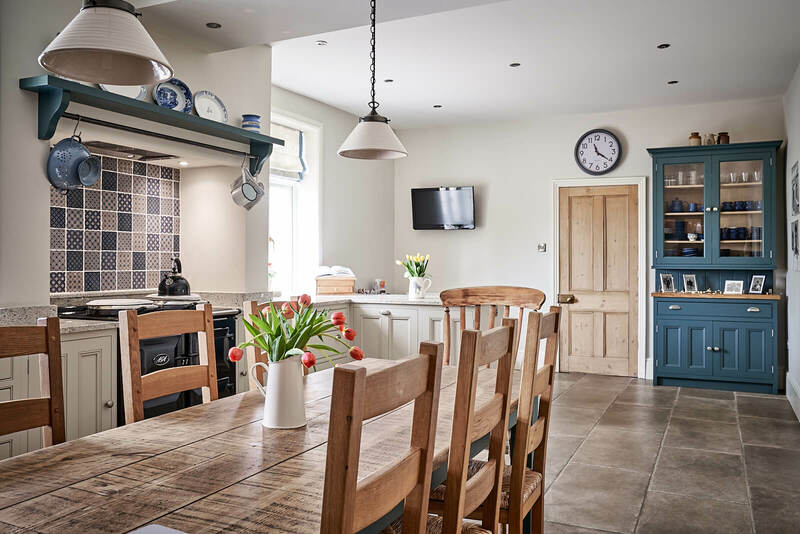 We instead opted for an effusive combination of colours and textures to create a characterful rustic kitchen, but with a distinctly up-to-date feel. 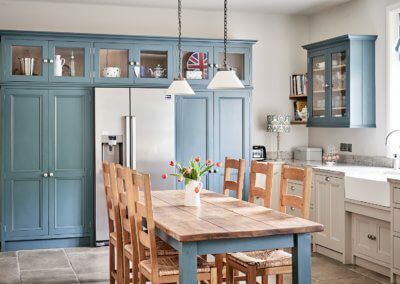 With the family dining table taking centre stage, and recessed plinth units lining the walls, the end result is a sumptuously sprawling space that effortlessly combines modern conveniences with classic design. 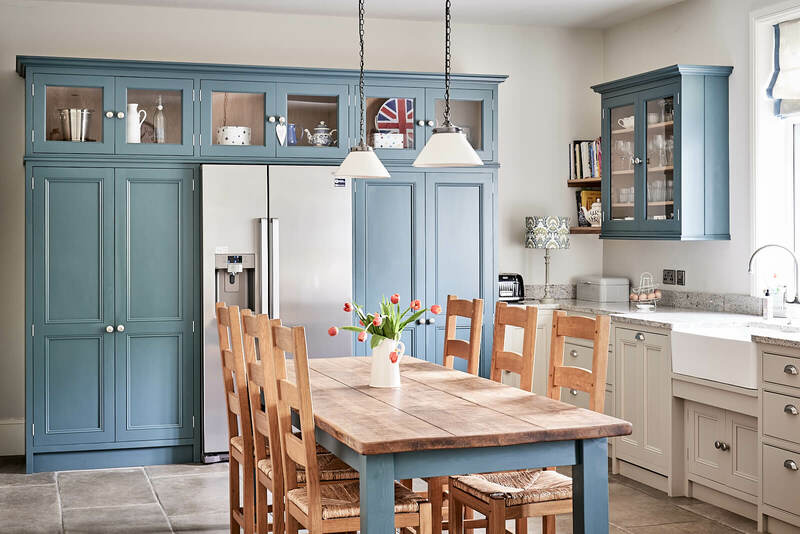 The bluey grey adds drama and depth, whilst the warming beige lifts the room and maximises light. 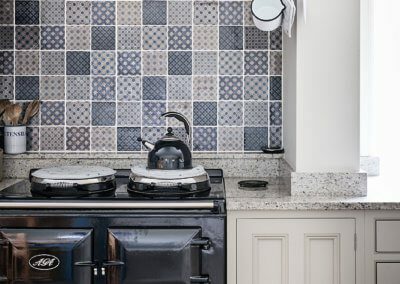 We added Granite ‘Ivory Wave’ worktops for a mottled finish, with Britinannium knobs and cup handles. 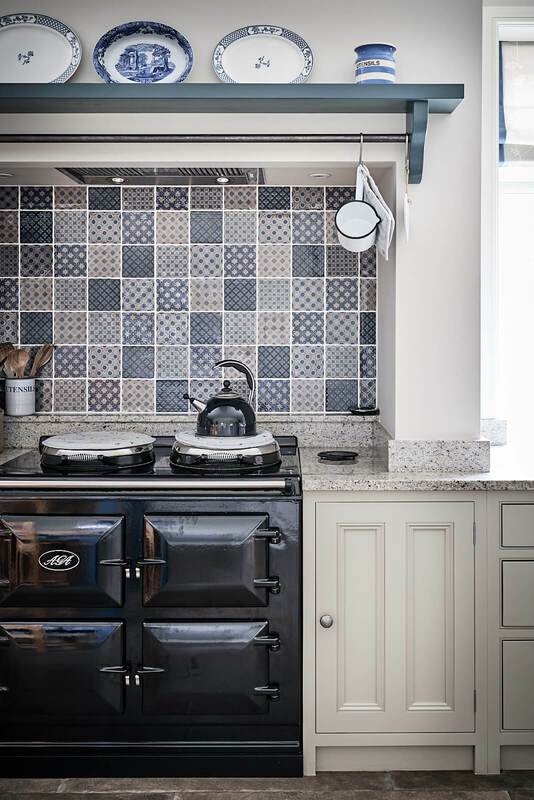 The pewter alloy gives a smooth, clean finish to the kitchen without dispersing too much of its rural radiance.